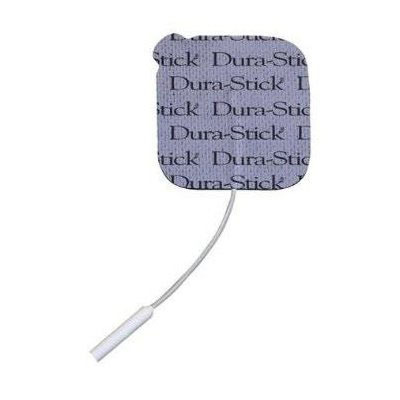 Electrodes offer a wire and molded connector, and conductive gel for superior conformity and bonding. 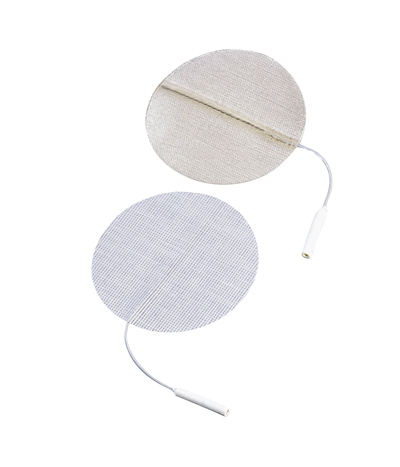 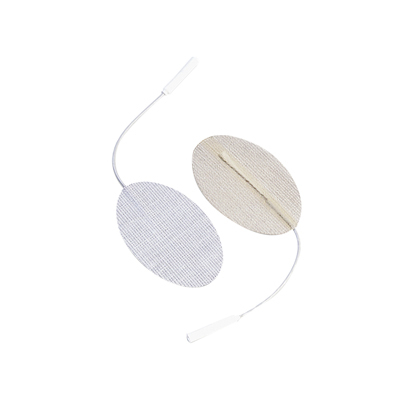 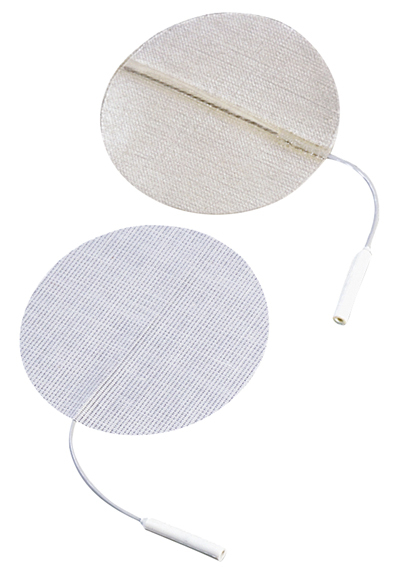 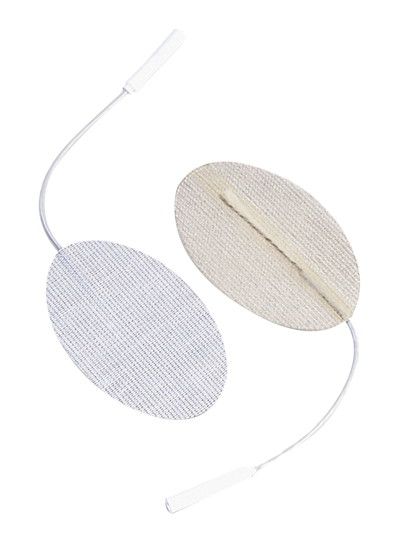 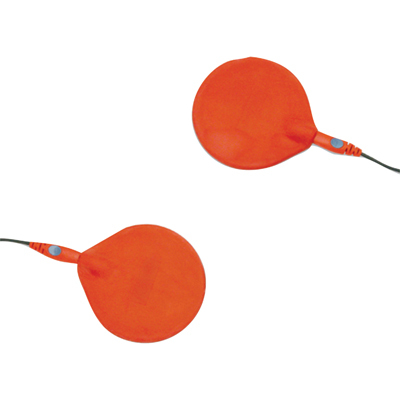 Electrodes facilitate current dispersion and low impedance in a flexible, durable construction and adherence. 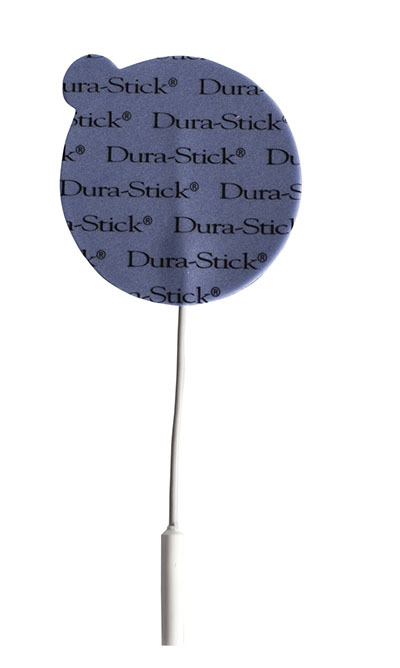 Dura-Stick® Premium electrodes have a stainless steel mesh for enhanced conductivity and a blue gel series for those with special skin needs. 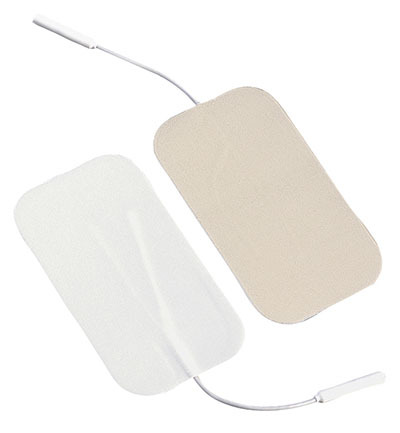 The electrodes come with re-sealable packaging with fields for patient name, first-use, and number of uses. 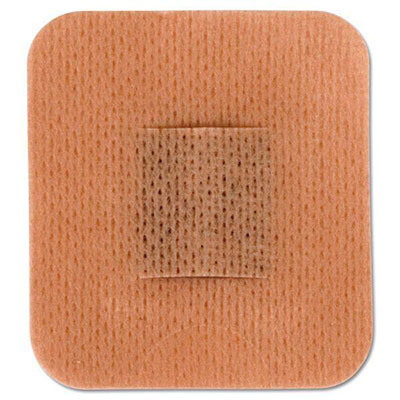 Dimensions: 1.25" x 0.2" x 1.25"
Dimensions: 1.5" x 0.2" x 2.5"
Dimensions: 3" x 0.2" x 5"
Dimensions: 2" x 0.2" x 3.5"
Dimensions: 1.5" x 0.2" x 3.5"
Dura-Stick® Standard electrodes have a white cloth back and a carbon film conductive material. 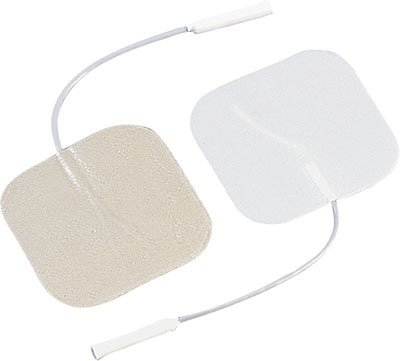 The electrodes come with re-sealable packaging with fields for patient name, first-use, and number of uses. 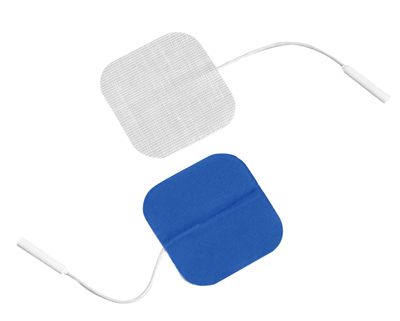 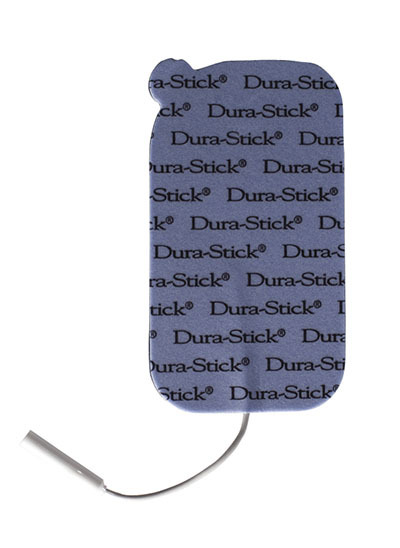 Dura-Stick® Plus electrodes have a blue foam backing. 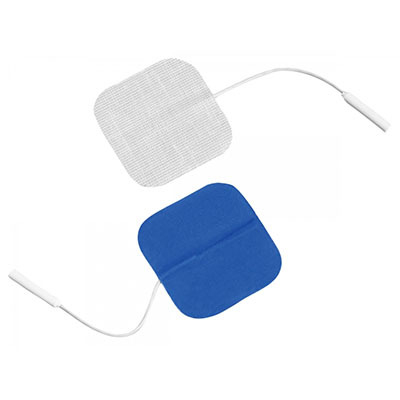 They have tabs for easy removal and come with re-sealable packaging with fields for patient name, first-use, and number of uses. 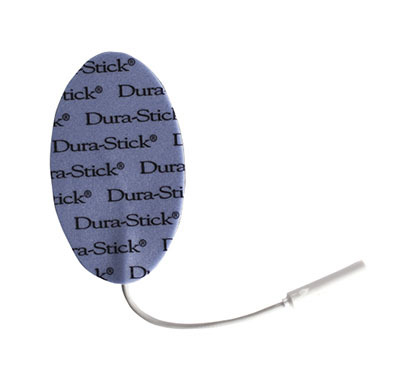 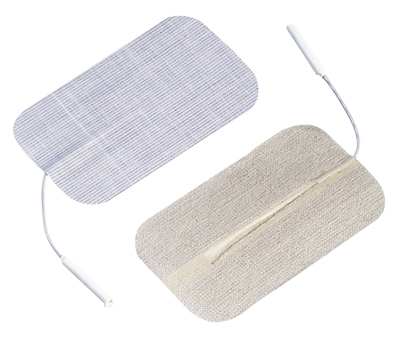 Dimensions: 2" x 0.2" x 4"
These single-use multi-day TENS electrodes feature ultra-flexible construction as well as tan-tone fabric for reduced visibility. 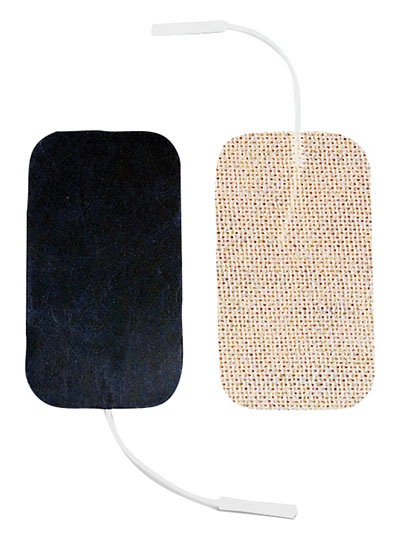 These pin-connector polymer electrodes are ideal for TENS applications as well as NMES for small muscle groups. 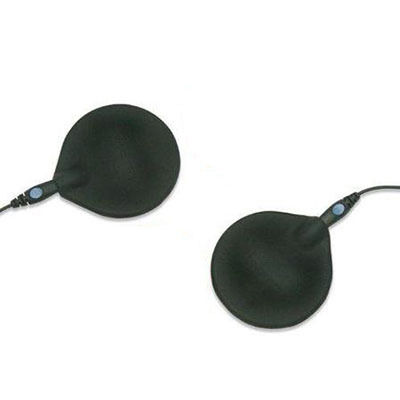 Dimensions: 2.25" x 0.2" x 2.5"
Dimensions: 3.2" x 0.5" x 2.5"